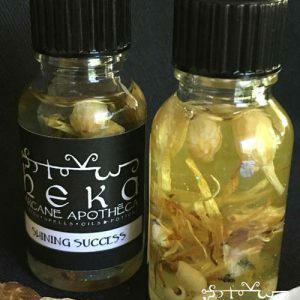 HEKA Arcane Apotheca create handmade, enchanted items to help you achieve your every day, magickal and spiritual goals. Our magickal products can be used by those new to magick and by seasoned professionals. We take pride in crafting products by hand, that are infused with energy and charged with intent, to help you achieve your specific desired results. Be it for love, protection, financial freedom, success, finding a new job or spiritual enlightenment. Fusing old world witchcraft with new. Our easy to use spell kits, enchanted candles, spell oils, powders, charms and more. Providing you with the tools, to help you manifest your dreams. All items are either made on order, or created in small batches to ensure, quality and potency. I hope you enjoy our products just as much as we enjoy making them. May they bring you pleasure and help you on your magical journey.